For the person who loves to "Grill & Chill", this is the gift! Includes a great selection of practical BBQ gift items like a three-piece tool set, long handled BBQ Grilling Basket, BBQ Fish Grill, Gourmet Wine Aged BBQ Grilling Chips and features Steven Raichlin's best-selling BBQ Bible cookbook! 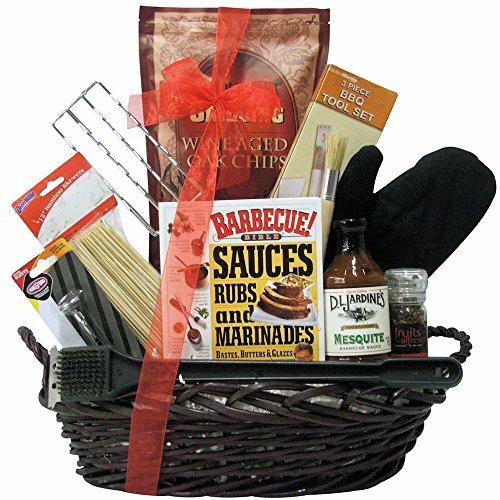 They will enjoy the lasting BBQ gift items as well as the wonderful assortment of gourmet sauces and rubs!